Andrew got his start as a DJ on Chicago's WNUR 89.3. His show "Fever" debuted in early 1998 and focused on the soulful, deep-house sounds of U.S. labels like Guidance, MAW, Large, and Wave. Thanks to its consistent quality and high-profile guests, the show earned a city-wide reputation as one of the finest shows on the air. Although he began playing almost exclusively house, Andrew also bought a lot of downtempo, hip-hop, nujazz, and disco. 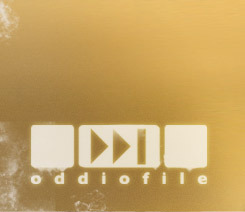 Within a few years, he was collecting everything from jazz and dub to drum & bass and techno, and over the years his style grew to accommodate the wide variety of sounds in his crates. Rather than limit himself to a single genre, he does his best to surprise and challenge by combining timeless music in fresh ways. With one foot firmly planted in Latin, African, and soul music traditions and another in the freshest sounds emerging in the broken beat and deep house scenes, he aims to create unique story arcs that take listeners to unexpected places. He has relocated many times over the years, living and DJing for stints in Chicago, Edinburgh, San Diego, Guayaquil, Los Angeles, and Minneapolis. Since 2008 he has lived in Seville, Spain. In 2010 he won the Bring the Heat disco battle, was named one of the 25 best DJs of the year by Mixcloud, and started up Music People—a roaming multi-genre club night based in Seville. 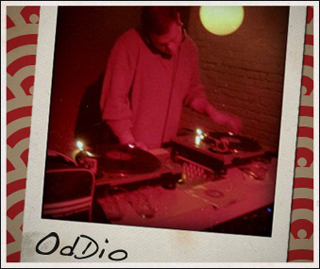 When there's time, he continues to record mixes for his podcast radio show, OdDio's Audio Odyssey, and other music-minded websites like Clubbingspain , Canora, Laid Back, and Deeper Shades.